How to record multiple monitors?? Hello, I have a multi monitor set up, how can I record multiple screens at the same time? Re: How to record multiple monitors?? Now, you can use more than 2 instances of Bandicam. 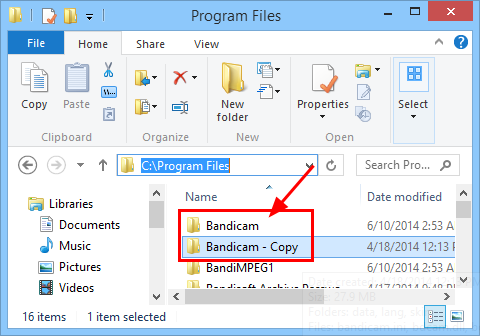 - You can now use more than 2 rectangle windows of Bandicam. - However, the 'DirectX/OpenGL window' mode still only allows you to record one recording target. 1) I want to confirm that installing in a separate folder is unnecessary; just duplicating the existing installation folder and creating a shortcut to the duplicate folder is sufficient. 2) will the duplicated instance(s) have their own independent startup/video settings? Or do they all share the settings (e.g. in the windows user folder)? 3) Is there a limit to how many instances I can run simultaneously on the same computer? We are sorry but we are not answering about the multiple instance of Bandicam since it is not officially supported.